SnowCap Decorative Hardware is a family owned and operated business that places high value on providing each and everyone one of our clients with the highest level of service and attention to detail in the decorative hardware selection, installation and service process of custom home building. We offer personalized sales of door hardware, cabinet hardware, bath accessories, metal doors and commercial hardware. As managing owner, I founded SnowCap Decorative Hardware in 2009 after spending years in the business working for other companies. As others took short cuts in service and selection, I knew there was a better way. By creating a company that consistently delivers on the value proposition: Service, knowledge and attention to detail will always deliver a successful project, SnowCap Decorative Hardware lives up to its “finish above the rest” motto. My team provides custom home and commercial builders from Boulder, Denver, Colorado Springs, Fort Collins, Steamboat Springs, Vail, Aspen, Telluride and all points in between with our special high-touch service. What makes us different is the time we take with our clients to ask the right questions upfront and get the order right the first time. We have the knowledge of the other components in the process to ensure the timing and fit are in sync. We even take the time to label each piece of hardware before delivering it to save you time on the job. All this attention to detail adds up to less stress, less cost and less time for our clients. 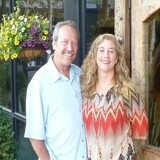 All at SnowCap Decorative Hardware call Colorado our home, our lifestyle and our place of business. We have many great relationships within the construction industry and with dozens of national decorative hardware manufacturers. We have the expertise, selection and partnerships to fit many project, styles and budgets. While our job is small in the overall construction process, it is such an important one to get right. After all, we provide the places where you interact with a building—in essence the “touchpoints” of a home. Please give me a call and let us show you what “finish above the rest” truly means. 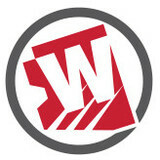 Here for all your custom window needs! 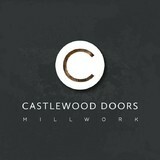 Manufacturer of custom wood doors. From compromising your homes security to increasing heating and cooling costs, an improperly installed or damaged door can cost you. Exterior doors, such as front doors, need to be tough against the elements but easy on the eyes; interior doors need to blend in with your existing aesthetic, but also function well for each room they are selected for. Needless to say, door decisions can be daunting; luckily, door dealers and installers in Aspen, CO can help you select, design and install doors that are perfect for your home! What kind of services do Aspen door dealers provide? Door dealers are responsible for a variety of services, including door installation, replacement, door repair and custom door design. If you need a new door, Aspen, CO door dealers will help you determine what kind you need, as well as shape, color, size and more. From barn doors to French doors to front doors, these professionals can help you choose, install and maintain your door investments. Wood doors are beautiful, versatile and tend to be the most popular choice for both interior and exterior doors; they are easy to custom build, and include oak, cherry, walnut, mahogany, maple, fir and pine. Some standard wood doors have MDF cores wrapped in wood veneers, which minimizes the chances of warping as real wood expands when wet and contracts when dry. If your heart is set on a wood door but you think the Aspen, CO climate might cause it to warp, talk to your door professional about a furniture-grade veneered door. Aluminum doors have an insulated core and come in a variety of colors and finishes. With a baked-on enamel finish, they won’t rust or need repainting, and many come with a 20-year warranty. Next to wood they are the most expensive and have to be custom-made. A Aspen, CO door dealer can help you find a reputable aluminum door manufacturer. Find door dealers and installers in Aspen, CO on Houzz. 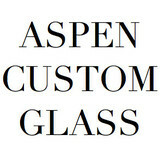 Look in the Professionals section of our website and search for Aspen, CO door dealers and installers. Read reviews, look at project photos and see how a pro can help with your home improvement project.